Supplementary food for cats. 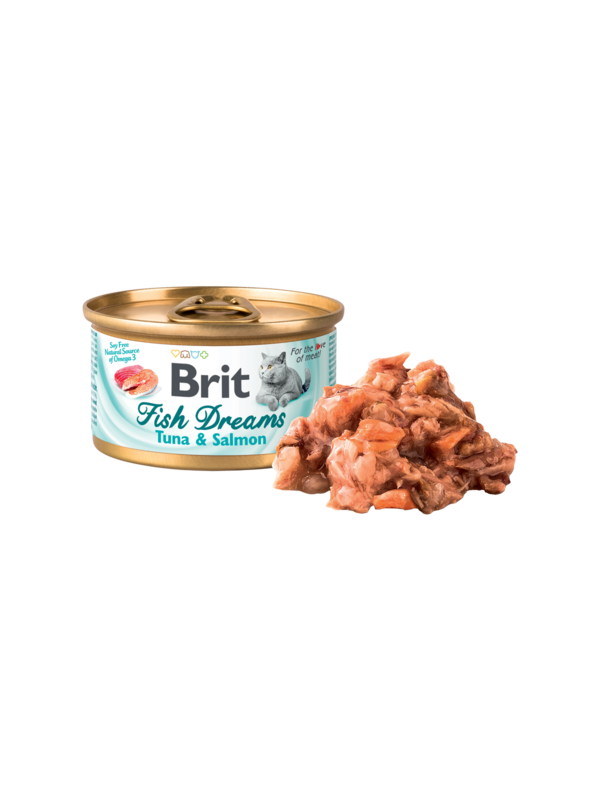 Brit Fish Dreams provides balanced nutrition for your cat. It contains delicious tuna with salmon in juice. It promotes beauty, health, and vitality without burdening the cat’s body. broth, tuna 40%, salmon 5%, rice. Serve at room temperature. The daily amount depends on the size of the cat. Provide fresh drinking water at all times. Refrigerate after opening. Store in a cool and dry place.